A determined young blogger, Emily Hogstad, has uncovered evidence of advance planning by the Minnesota Orchestra to silence public protest at their intended long lockout of the musicians. These purchases appear to have been intended to frustrate the advocacy of citizen groups. They are absolute proof of your lack of integrity and indicate malice aforethought. The front page Community Spotlight of Daily Kos! The domain name heist had hit a nerve with me (obviously), but I didn’t know how far – or how quickly – knowledge of it would spread. I wanted to pass the story to someone more mainstream in the hopes it would get more views, but nobody bit. Well. Turns out blogs can be mainstream, if the content is relevant enough. Even in a field as supposedly moribund as orchestral music. I exchanged dozens of messages behind the scenes with my fellow patrons, many of whom you know from the comment section here. (The locked-out musicians, you should know, had nothing to do with any of this.) We were suddenly organized, and we were official, and we had thousands of fans on Facebook alone, who were waiting for us to take the lead. I offered to step up as a temporary press contact as we got off the ground (I’m no longer serving in that capacity). After I spoke with NPR, and SOSMN secretary and SOTL reader Nils Halker spoke with MPR, we realized from what the reporters said that the MOA would be responding to the story. So we sat back, popped some metaphorical popcorn, and waited together. It was quite the moment. I’d waited fifty-one weeks for this. It was the first time they’d been forced to directly respond to me. 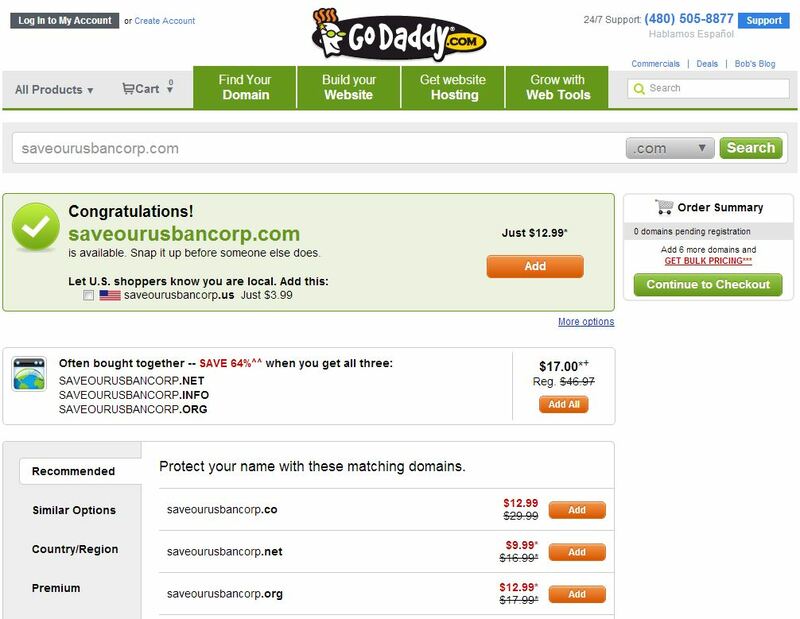 Gwen Pappas, the orchestra’s spokeswoman, said the association reserved the domain names in the spring of 2012, about six weeks after negotiations had started and it appeared they would be contentious. First off. I want to apologize to Ms. Pappas for dragging her into this ridiculous circus. She is in an incredibly difficult position. Defending the indefensible actions of a controversial board and management team is not what she signed up for when she joined the Minnesota Orchestra. Let’s be clear: the orchestra’s spokeswoman is not calling the shots in the board room. At least in theory, Michael Henson is, and he should have been the one to respond to this, the biggest story of the lockout so far. “We might use to share messages”? That argument falls apart completely because the MOA purchased over a dozen domain names. You don’t need a dozen domain names to share messages. Plus, as Drew McManus pointed out yesterday, the MOA ended up using none of those names to share messages, instead choosing to use the minnesotaorchestra.org domain for all its contract talk information (contrary to Drew’s best practices recommendations). As for “protect the orchestra name,” that doesn’t hold much (okay, any) water. At least five of the domain names (saveourorchestra.com, saveourorchestra.net, saveourorchestra.org, savetheorchestra.com, and savetheorchestra.org) have just as much to do with the Minnesota Orchestra name as any other orchestra in this country. That’s not protecting the Minnesota Orchestra’s name. But I’ll be generous and pretend those five names weren’t bought. What is the MOA protecting its name against? People who want to save it? This makes no sense. And they know it. And they know we know it. And it’s awkward all around. Orchestra management, however, says that they’re simply following common and widely accepted business practice, and don’t understand why Hogstad’s findings are attracting international attention and commentary. Not protecting the name, I guess. Get on that, Wells and US Bancorp. Chop chop. Cough cough Detroit cough cough American Crystal Sugar cough cough. “Just because you’re planning for a scenario, it doesn’t mean that you want that scenario to unfold,” Pappas said. I…whatever. I give up on this article. This is too absurd to even dignify with an answer. I have better things to do. Moving on. The Orchestra’s Pappas dismisses the idea that the organization is trying to stifle discussion, saying in reality it has opened up its Facebook page to all comers. Oh, Lord. In case you’re just joining us, the MOA makes a clean sweep of its Facebook wall every few weeks. I even blogged about that here, in February. Not to mention, it was a huge mistake to even mention their disaster of a Facebook page, because feedback there is almost completely negative, and reinforces the very thing we’re saying: that audiences have been ignored. The poor MOA moderator consistently, pathetically, writes after each spittle-fueled patron outburst, “Thank you, [Name], for voicing your thoughts here. We have passed this comment along to leadership.” And yet there is never, ever, any indication that “leadership” is listening to what we have to say. My friends and I have guessing games about where all the Facebook comments go. Directly into the dumpster? Are they printed out in binders? Do owls deliver them to board members’ houses? We don’t know. She also points out there is an infinite number of domain name possibilities, and idea that the orchestra would or could try to grab them all is unrealistic. No, duh. Hence the fact we were able to find a name at saveoursymphonymn.org. Nobody’s saying I thought the orchestra would or could try to grab them all. (Orchestra-saving domain names: they’re like Pokémon, gotta catch ’em all!) What we are saying, however, is that the MOA is incredibly dumb and bull-headed, can’t use technology to save its life, apparently doesn’t know how to buy domain names in private, and is completely tone-deaf and doesn’t listen to musician supporters. Look. I have zero idea where this…wildfire is going. (As I write this, Save Our Symphony Minnesota has just zoomed past 6000 likes on Facebook. 6000 likes in a week.) I don’t know if the Minnesota Orchestral Association can be provoked to change course by patron mobs (or frightened corporate PR departments). Social media is incredibly powerful. Scoff at blogs at your own risk. Don’t try to control the message. 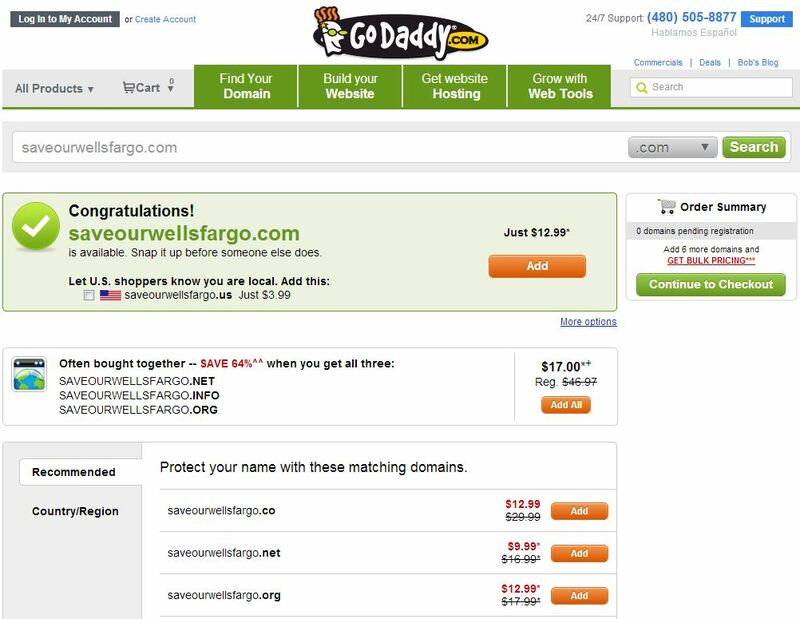 When you hoard domain names…for God’s sake, splurge for some domain privacy. Better yet: don’t hoard domain names. Broad swaths of Minnesotans are pissed off. This orchestra will not survive in any form unless these people are placated. The board cannot have a functioning orchestra without patrons and musicians. So they’d better get used to dealing with us if they want an orchestra. And if they don’t want an orchestra, they need to come out and say so. Patrons will be showing up at the hall to protest. Save Our Symphony Minnesota is not going away. You can’t pee on us for eleven months and then convince us it’s raining. The people in charge of this effort are the best people I know. As corny as it sounds, I would trust my life to any one of them. They will come through for you. They will do everything humanly possible to apply pressure to end this lockout. You have been abused, belittled, and condescended to enough. In the meantime, like the Save Our Symphony Facebook page, engage in dialogue with the folks over there, and send them copies of the letters you’re sending to the MOA board and/or politicians. Stay tuned. SOSMN has stuff up its sleeves, and everyone is watching. No American orchestra has seen an audience uprising like this ever before. The next few weeks will be very, very interesting. I continue to marvel at the silence of the MOA board of directors. Are they really ALL in agreement with the decisions made by leadership over the last months? Aren’t they EMBARRASSED? When will one of them break ranks and speak out against this? If I was George Mitchell, $900 an hour wouldn’t be enough to keep me in this shark pool. I think the point about not wanting an orchestra, and being willing to say so, is most germane. And please, community at large, stop looking to Osmo’s potential resignation as a watershed moment. He was quiet for too long, and really missed his opportunity to side with the musicians for the sake of quality’s survival. It can’t be said that his major contract renewal just a year or so ahead of the lockout didn’t guarantee a certain degree of loyalty towards his superiors on the board. The Minnesota Orchestra’s four Sibelius concerts at Carnegie Hall in New York have been well-publicised there. The cancellation of these concerts will cast an International spotlight on the ensemble, Maestro Vanska, and the orchestra’s administration. This is a story about to be heard around the world. My new lock out joke–What’s the difference between the IRA and the MOA? The IRA was a terrorist organization that wanted to negotiate. Has anyone thought of doing a full court press on Dayton to insist on a community forum which includes patrons, musicians, and the MOA? Elizabeth, your joke literally made me guffaw out loud. There is no way to mark such domain activations as “private”, per se. It’s a technical requirement that is required by other registrars. Emily, your leadership in this has been nothing short of inspirational. So here’s a question for you: what do you see as a fair, reasonable, and achievable settlement between the musicians and the MOA? Personally, I feel the solution is the same in most of these lockout/contentious negotiation situations. Managerial wastefulness should be addressed before cutting musicians and their salaries. (Maybe put off remodeling the concert hall and pay your employees?) Look at the most recent Atlanta negotiation–they ended up with an administrative staff larger than the actual orchestra, while the musicians took an ENORMOUS pay cut. HOW DOES THAT MAKE SENSE?